LOCATION.--Lat 40`37'23", long 75`28'58", Lehigh County, Hydrologic Unit 02040106, on right bank 200 ft upstream from bridge on State Highway 145, 0.5 mi northwest of city limits of Allentown, and 2.5 mi upstream from mouth. PERIOD OF RECORD.--October 1944 to current year. GAGE.--Water-stage recorder, crest-stage gage. Datum of gage is 257.82 ft above National Geodetic Vertical Datum of 1929 (Pennsylvania Department of Transportation datum). Prior to September 17, 2013, gage included rubble masonry control at datum 2.0 ft higher. For history of changes prior to September 17, 2013, refer to WDR-US_2012. Satellite telemetry at station. COOPERATION.--Station established and maintained by the U.S. Geological Survey. 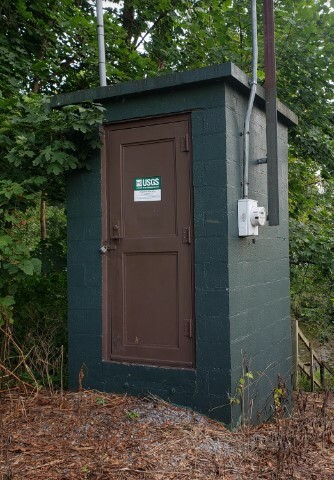 Funding for the operation of this station is provided by the Lehigh County Authority, the Pennsylvania Department of Environmental Protection, and the U.S. Geological Survey. Supplied by NWS: Action stage-6 ft, at 7.1 ft, Rte 309 in Whitehall Twp closed; Flood stage-8 ft, Village Road in S Whitehall flooded; Moderate flood stage-10 ft; Major flood stage-11 ft, at 13 ft, Seventh Street bridge flooded.